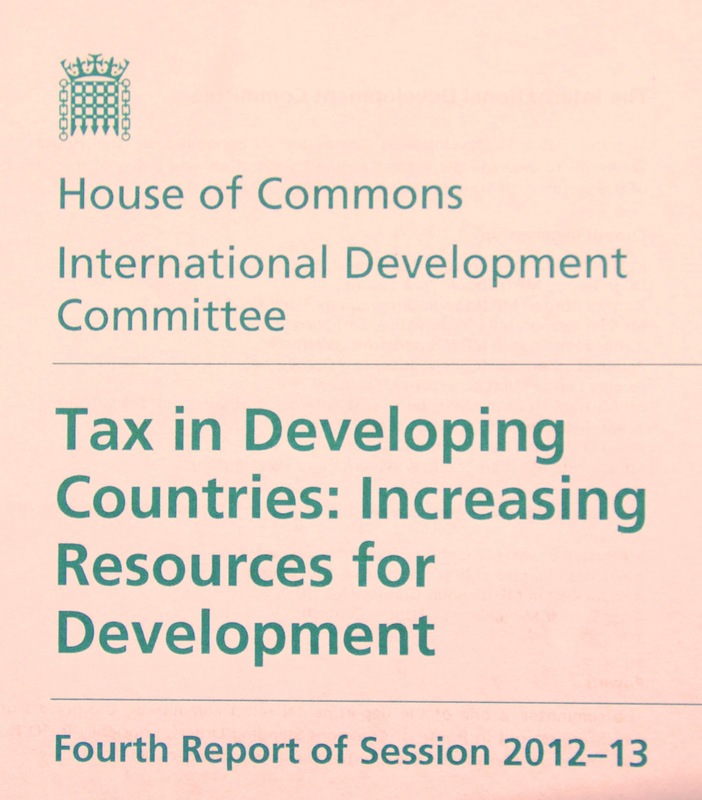 "DfID should seek to support the national revenue authorities of developing countries as they attempt to improve the collection of personal income taxes, VAT and local property taxes. DfIDshould also encourage and support programmes that engage civil society and trade organisations, academics, journalists and parliamentarians in the tax policymaking process." (p9). This is exactly in line with the oral submission made by TJN's director, John Christensen, when he met the Committee in April 2012 (see pages 31-38 of the attached evidence report). "The Government introduce legislation similar to the relevant section of the US Foreign Account Tax Compliance Act (FATCA), requiring tax authorities automatically to exchange information relating to UK citizens or corporations. The Government should also use its influence (via the OECD Tax and Development Task Force, and similar avenues) to persuade other governments to follow suit." (page 17). Well, we're not likely to disagree with any of this, especially since our written submission to the Committee focussed precisely on the issue of recognising automatic information exchange as the appropriate standard for strengthening international cooperation. It's gratifying to see how far this crucial debate has come in the past 24 months. 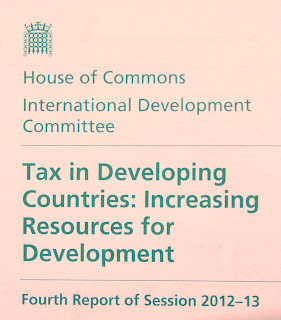 "there should be an administrative or legislative requirement for the government to assess new primary and secondary UK tax legislation againsts its likely impact on poverty reduction and revenue-raising in development countries, and to publish that assessment alongside the draft legislation." (page 20). We Like. Bravo Action Aid for persisting on this one. "Irrespective of whether EU-level agreementis reached, the Government should enact legislation requiring each UK-based multinational corporation to report its financial information on a country-by-country basis." "Such information should include the names of all companies belonging to it and trading in each country, its financial performance in each country, its tax liability in each country, the cost and net book value of its fixed assets in each country, and details of its gross and net assets in each country. Additionally, the UK should continue to support the progress of similar legislation at EU level." (page 24). This blogger well remembers first discussing CBCR with Richard Murphy way back in October 2002, at a seminar in St Helier, Jersey, which is where the idea of CBCR originates. It has come a long way since then. There are many more recommendations we'd love to cite - see those on transfer pricing abuse (page 19) and strengthening the EITI to require transparency of contracts (page 22) - but space is short and we'd much prefer you to read the entire report to get a feel for how far the development agenda has shifted in our direction.